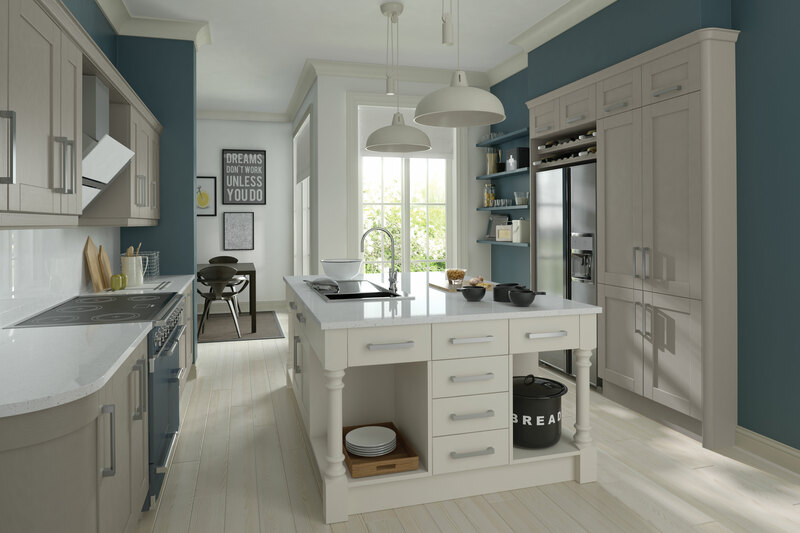 Wickham is a truly versatile kitchen with myriad different finishes available. 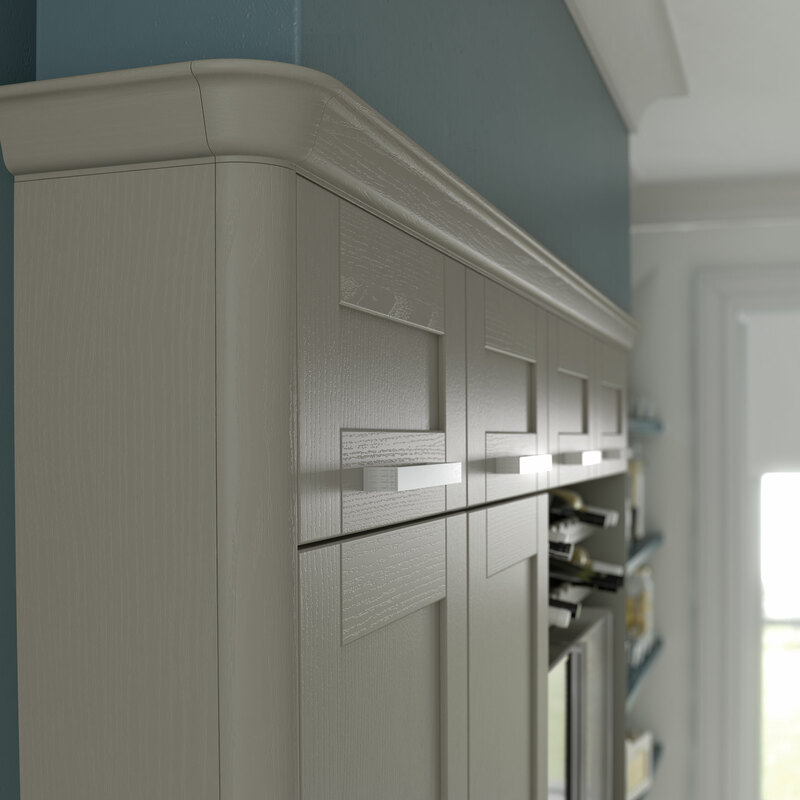 Our typical offering includes Oak, Alabaster and 20 painted finishes from Sage Green to Powder Blue. However, this is just the tip of the iceberg – with our colour match service, you are in complete control of the colour whilst we make sure the doors retain their texture, allowing the beautiful grain to show through. Just provide us with a RAL or BS code and we will reproduce your favourite shade in your favourite room. Colours can be used in many different ways. Choosing natural, light tones for your kitchen allows stronger colours to be used on the walls, forming a solid contrast that isn’t glaringly obvious. Selecting two different colours for the kitchen itself can be used to highlight your chosen design features.